Occurring over the course of 20 million years, it wasn’t exactly an explosion in the sense that the Big Bang was an explosion. But, never before, and never since, has there been such a dramatic emergence of animal diversity and diverse animal phyla. It’s the single most significant evolutionary transition period seen in the fossil record. To pay homage to this early flowering of complex life forms, you can visit a site near Burgess Pass in British Columbia’s Yoho National Park. The rock here, known as Burgess Shale, contains one of the most diverse and well-preserved fossil records ever found of the Cambrian Period. The dominant fossils are arthropods but others are also found in great abundance such as worms, crinoids, sea cucumbers , and chordates. The Burgess shale contains fossils of soft bodied animals as well as those with hard parts. Soft bodied fossils are extremely rare. When an organism is completely soft, the body usually rots away before it can become fossilized. It is likely that the Burgess animals were buried quickly by a mudslide and their soft parts immediately preserved in oxygen-free conditions. Another famous site where evidence of the Explosion is clearly seen is in the Yunning Province of China. The Chengjiang Fossils also provide stunning evidence of the Cambrian explosion. The hard and soft body fossils here are even 5 to 10 million years younger than the Burgess Shale. In all there are about 40 other sites around the world with fossils as well-preserved as the Burgess shale. And three of these sites are in Utah. In Millard County, Wheeler Shale and the overlying Marjum Formation, are exposed throughout the House Range and nearby mountain ranges west of the town of Delta, Utah. Certain layers of the Wheeler Shale contain abundant trilobites and other shelly fossils. 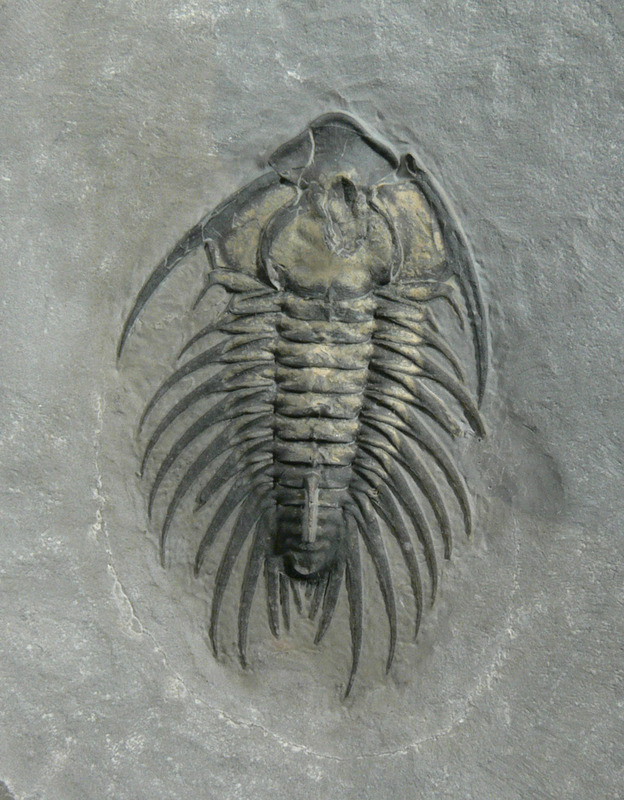 The Wheeler Shale and Marjum Formation also contain a diverse collection of soft-bodied fossils, including many of the same taxa found in the famous Burgess Shale. Other sites with Burgess shale type preservation include the Weeks formation also in the House Range and Spence Shale in the Wellsville Mountains west of Logan. Utah’s Cambrian fossils can be found in museums around the world. 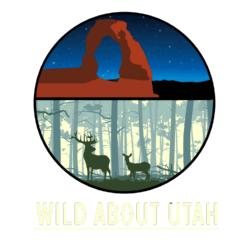 For information on where to see them in Utah, check our website, wildaboututah.org. Thanks to Paul Jamison and Val Gunther for providing expertise on Utah Cambrian fossils. Hagadorn, J.W., 2002, Burgess Shale-type localities: The global picture, in Bottjer, D.J., et al., eds.,Exceptional Fossil Preservation: A Unique View on the Evolution of Marine Life: Columbia University Press, New York, p. 91-116. Hi, I’m Holly Strand for Stokes Nature Center in beautiful Logan Canyon. Mongolia, China, and United States have produced far more dinosaur fossils than any other countries in the world. And Utah is a prime dinosaur site within the United States. Scattered around Utah are several active quarries, including the world famous Carnegie Quarry in Dinosaur National Monument and the Cleveland-Lloyd Dinosaur Quarry outside of Price. Paleontologists are beginning to find that the Grand Staircase Escalante Area is another prolific boneyard. In their day, dinosaurs roamed almost all parts ofthe known world, so what makes Utah so exceptional for dinosaur discoveries? First of all, it’s important to understand that the vast majority of dinosaurs lived and died without leaving any fossil traces. Thus, what we find today is an extremely small percentage of the total of all dinosaur matter. In order to be preserved a creature needs to be buried or frozen almost immediately upon death, Given that the world was pretty warm in the age of the dinosaurs, most of today’s fossils come from individuals that died in or near a sand dune, lake or sea and were then quickly covered by sand or mud. Dinosaurs lived in the late-Triassic, Jurassic and Cretaceous periods of the Mesozoic era –that is 225-65 million years ago. 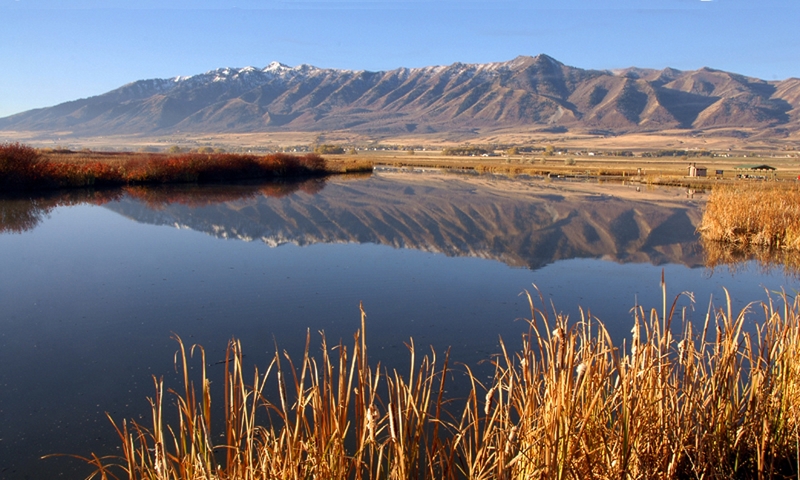 At that time, what-would-be-become Utah featured both a shallow inland sea and dunes.. So dinosaurs who lived and died here had a much better chance of being fossilized. Once fossils are well preserved, certain conditions will increase the probability that they will be found. First of all, you want exposed Mesozoic rock, since dinosaurs lived and died in the Mesozoic era. The Morrison and Cedar Mountain Formation are both from the Mesozoic and are extremely rich in dinosaur fossils.. In fact, Utah has one of the most detailed Mesozoic rock records in the world. Certain types of sedimentary rock –including sandstones, mudstones and limestones –are most promising for fossils and Utah has plenty of these. Another condition for good fossil hunting is a dry environment. Desert and semi-deserts are optimal for discovery, since decomposition is slowed. With little or no vegetation on the ground, wind and water erosion increases and more ancient fossils are uncovered. In this regard also, Utah is perfect, having just the right amount of water. There’s enough to cause occasional and severe erosion to expose new rock, but not enough to encourage the amount of plant growth that will anchor soil or reduce visibility of the ground. In the past 2 decades, dinosaur discovery and research has been enjoying a renaissance with plenty of new species being unearthed.. In an upcoming episode, I”ll talk about some exciting new discoveries in our state. Dodson, Peter. 1990. Counting dinosaurs: How many kinds were there? Proc. Natl. Acad. Sci USA. Evolution. Vol 87, pp. 7608-7612.